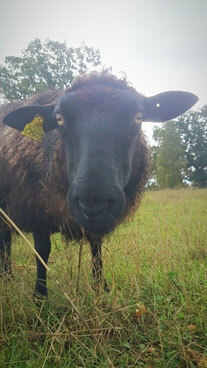 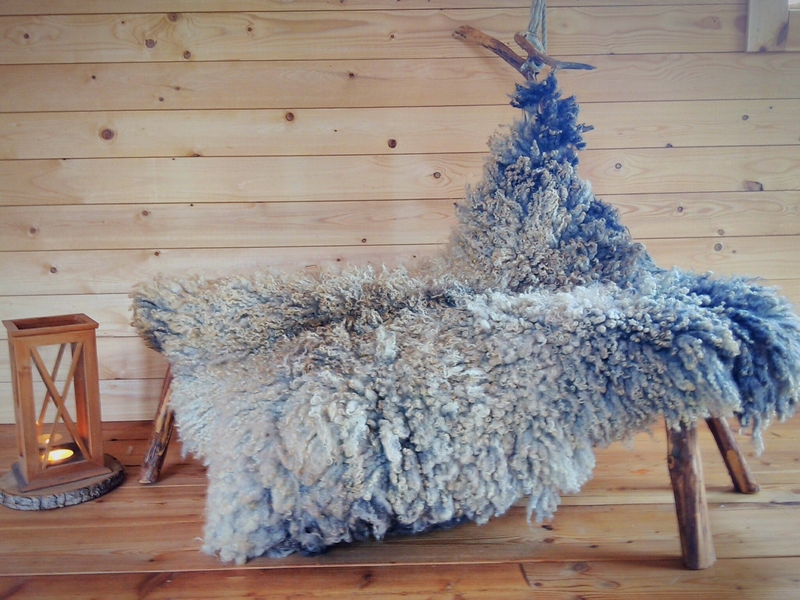 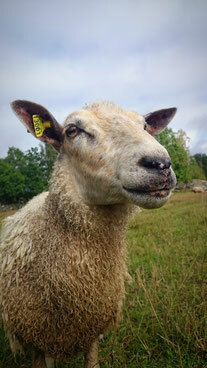 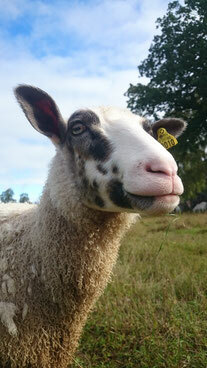 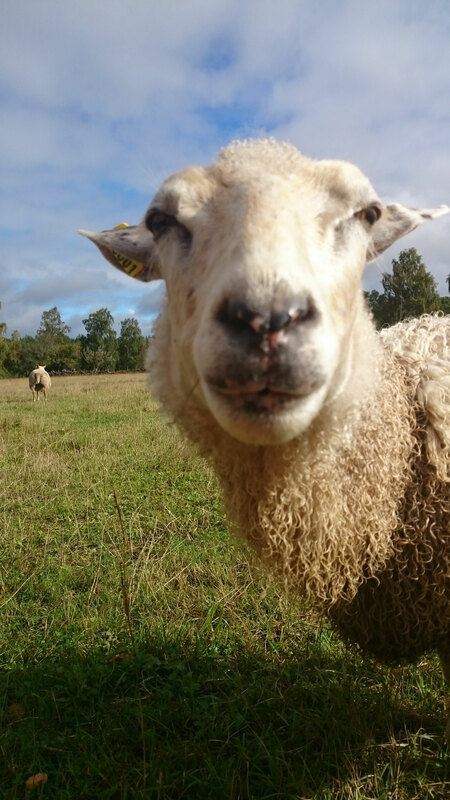 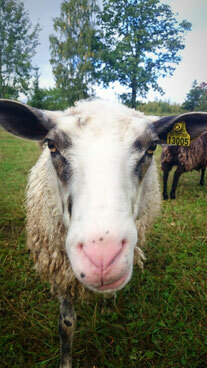 The sheep products - ekbackagard-permacultures Webseite! 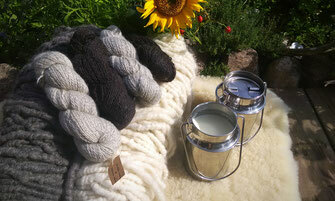 The wool of our sheep is a precious material for us - the base for a couple of our hand crafted products. 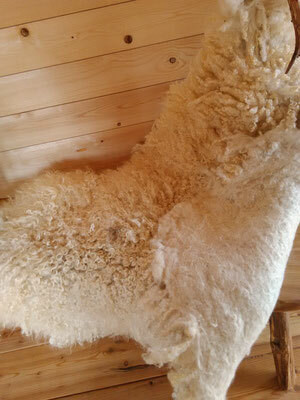 If you are interested in any products please contact us. 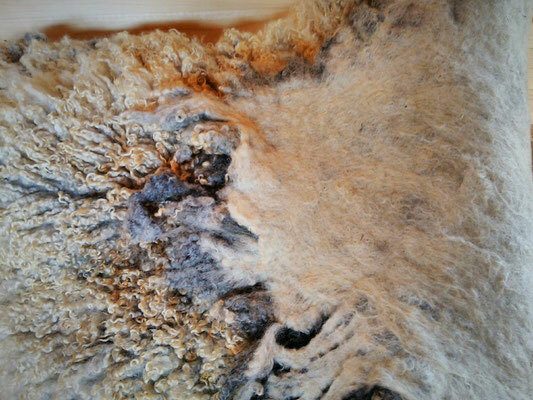 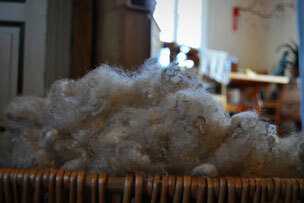 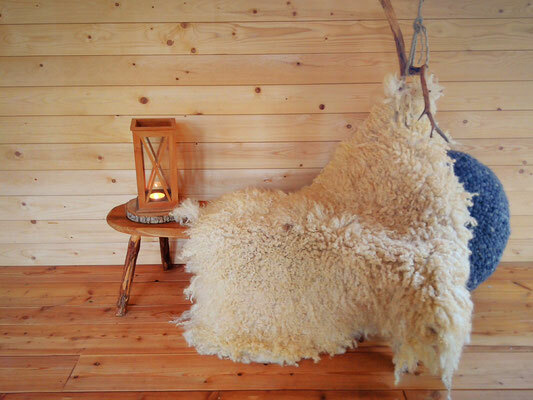 Fleeces from our sheep are hand crafted out of the sheered wool in a process that includes several steps. 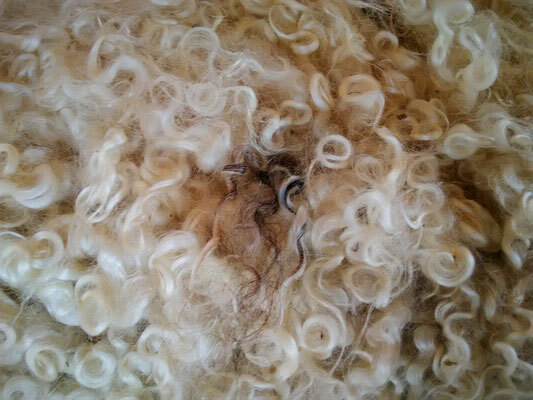 Kajsa gave us this pretty fur with her unmistakable black curl. Emmas fur has a variation of beautiful grey and off-white shades.